Sense-Aprons® are interactive sensory-based activity/fiddle aprons designed to contain a variety of different tactile, auditory and visual stimuli that engage the senses of dementia patients. 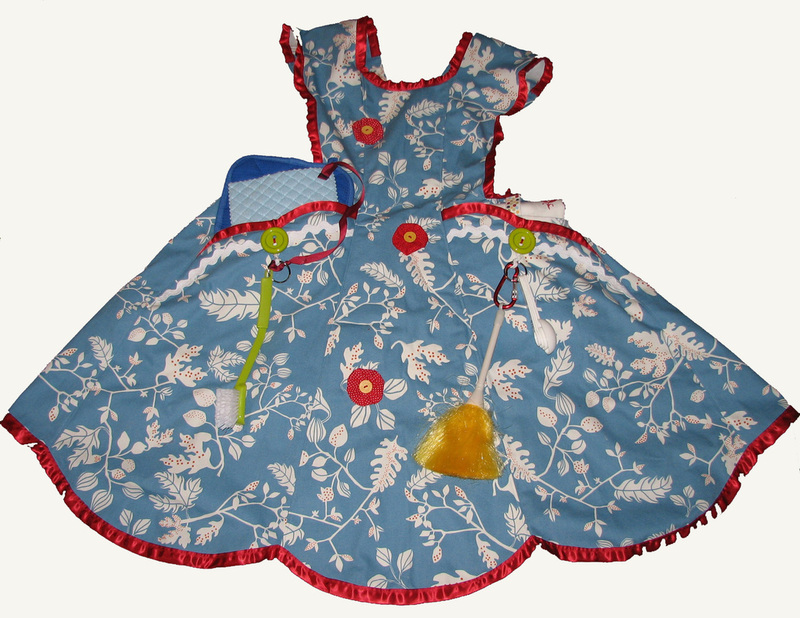 These aprons provide the wearer with opportunities to engage in familiar activities such as removing and placing items in pockets, and fastening and unfastening items such as buttons and zippers. · Providing pleasurable sensory stimulation. 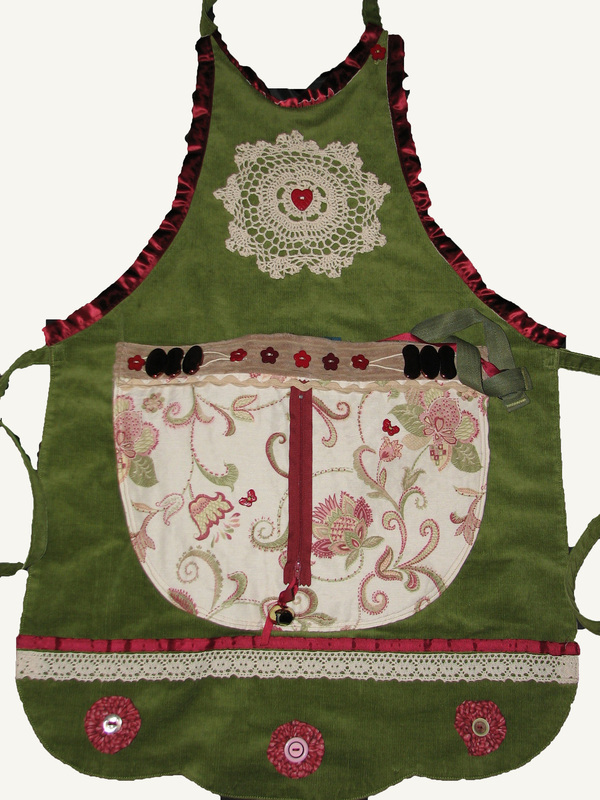 Our ready made range of Sense-Aprons® are displayed below. 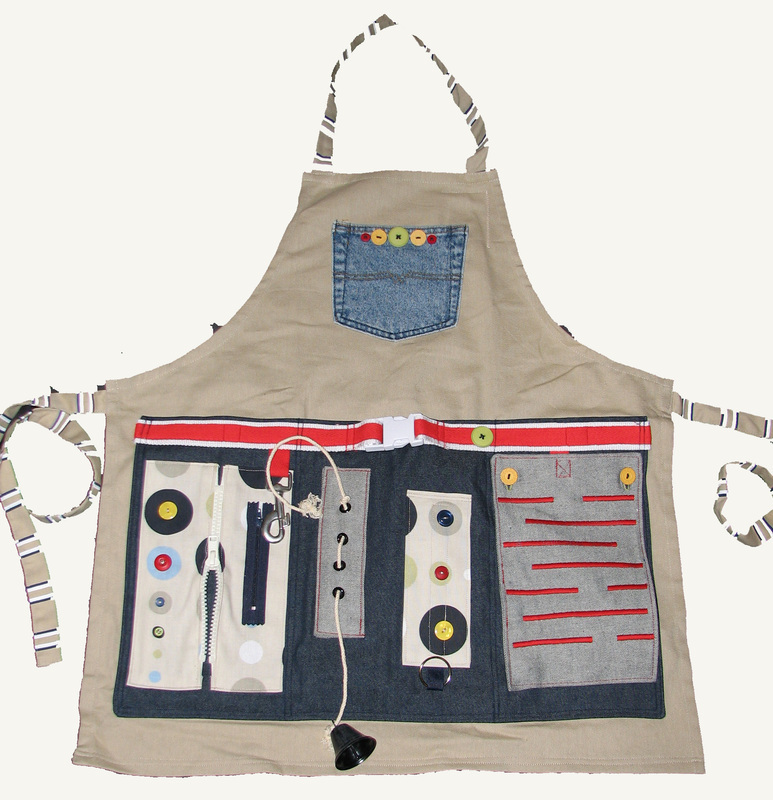 However, Sense-Aprons® may also be custom designed to suit the individual needs of the person with dementia. If you would like a Sense-Apron® custom designed, please go to our "Contact Us" page and provide us with details of your requirements. The Domestic Goddess Sense-Apron® provides a range of familiar domestic items that may cue and promote engagement in domestic activities. 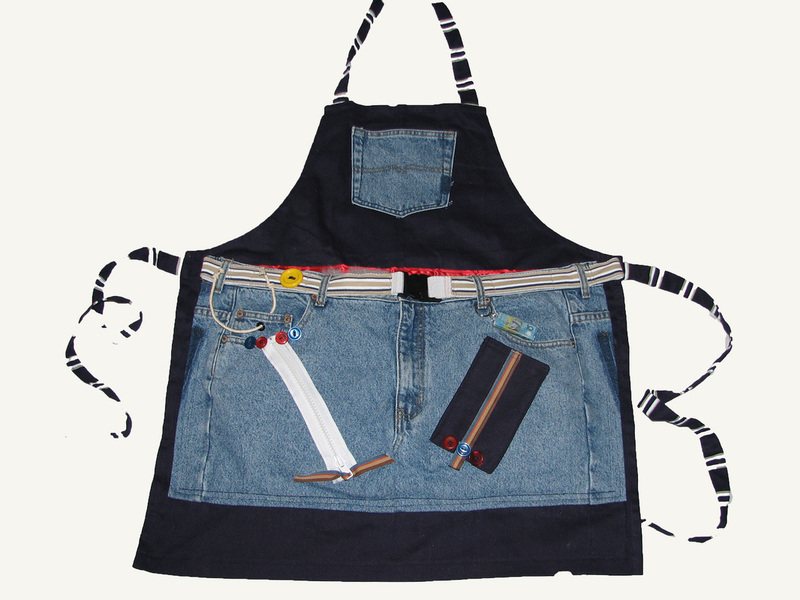 The Men's Sense-Apron® may assist with providing opportunites for engagement for people who are busy with their hands. The Handcrafts Sense-Apron® may engage women who have previously enjoyed handcraft activities. The Pants Sense-Apron® may assist with managing the behaviour of those who place their hands down or remove their pants.